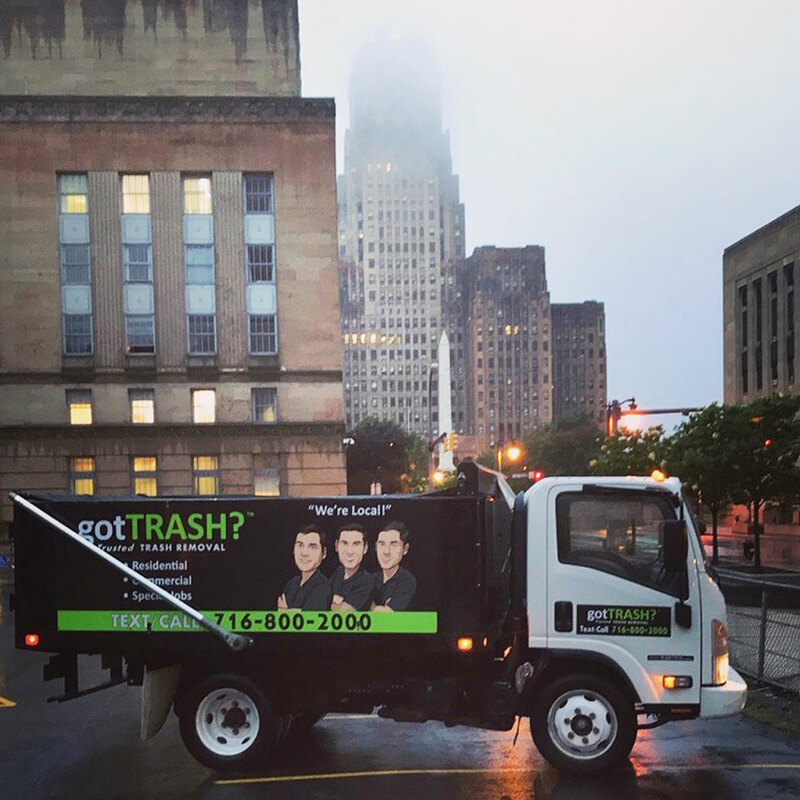 Buffalo junk removal for home & business. Basement, garage, flood, attic. Too much junk in your home attic, basement, garage or office? Can’t depend on your commercial trash removal service? RELAX! gotTRASH? handles trash removal projects of all sizes and content for residential and business. Our premier on-site trash removal services are convenient and affordable. Our technicians are trained professionals: licensed, insured and drug tested. We do our job quickly, respectfully and thoroughly. Contact us when it’s a good time for you. We’re open 24 hours a day – every day. Moving, downsizing, or clearing out a house after the passing of a loved one? We'll take care of it all. We will work closely with you to clean out the residence in a respectful and sensitive manner. We'll clear and haul away your unwanted junk, clutter and debris lying around your home, apartment or condo. We offer professional and affordable residential junk removal services to help you save time, energy and money. Tired of dealing with big companies that treat you poorly? We treat all our clients like valued customers. #1 in reliability, we take care of all your commercial trash removal needs. Our team offers your business professional service tailored to your specific needs. Have an old shed, garage, pool or mobile home on your property and want it to disappear? You name it, we take it. Paint recycling, junk vehicle pick up and recycling, full house guts, interior drywall demo, scrap metal machinery rigging and removal. And more. We're there for you 24/7/365. Call us any time and we'll take care of your emergency trash removal. Flooded basement at 3 AM? Call us! We are ready, willing and able to help you get through any trash removal emergency. Cleaning out? Remodeling? Dump your trash and unwanted construction materials in one place. The convenience of cost-effective dumpster services can make your project easier. We remove the dumpster – enjoy your finished project hassle free.